Want to speed up your dog's training? Need a tool that will make it easier for you? Here you go Button Dog Clicker for easy training of such commands as "Sit", "Stay", "Heel" "Fetch", etc. 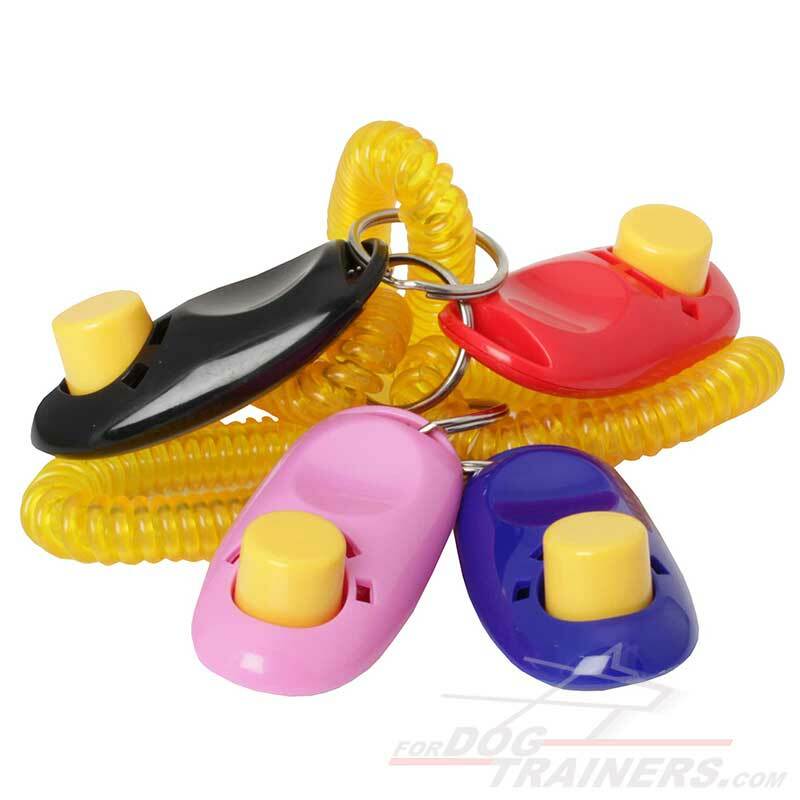 With this Dog Clicker your training sessions will become less tiresome, more effective and funny. This colorful dog supply can make a big deal for you. You training sessions can become more effective and fast if you use modern training tools. 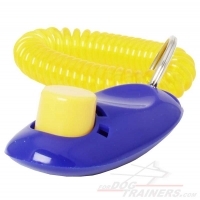 Our Pet Clicker for basic training is a great dog supply that will help you. Even experienced dog trainers use this small but credible dog clicker. It seems that there is nothing special, but with the help of its 'click' sound your dog will understand that you approve his / her behavior and will gradually improve the performance of basic training commands. 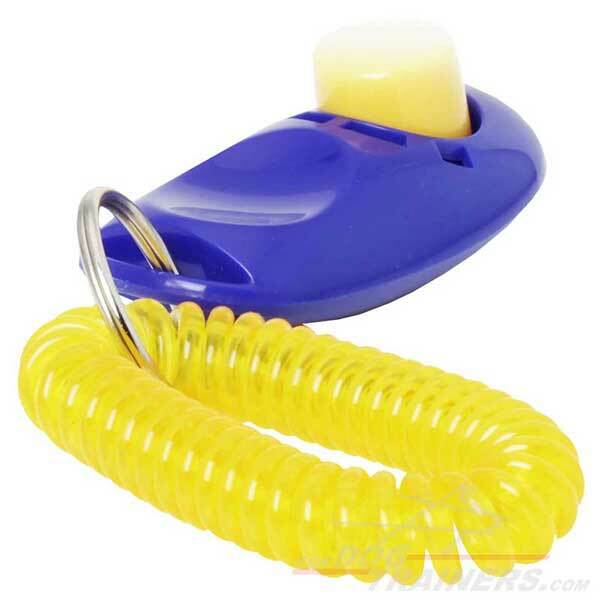 Due to the permanent use of this Pet Clicker your dog will become more concentrated, you will notice that the speed of his / her reaction to your commands will be faster and your pet will tend to further training. There is no option to choose color. We will send you any available color that we have in stock.